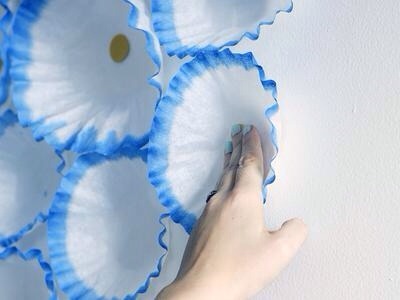 Fill a bowl with one cup of water and 1/4 cup of dye. 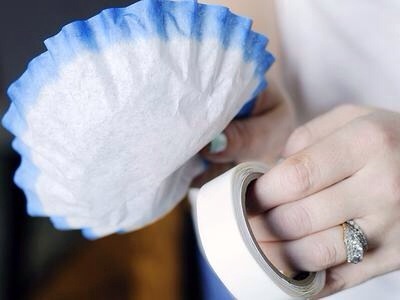 Dip a large coffee filter 1" into the dye. Set dip-side down on a flat surface. Repeat this process with 20 large coffee filters. 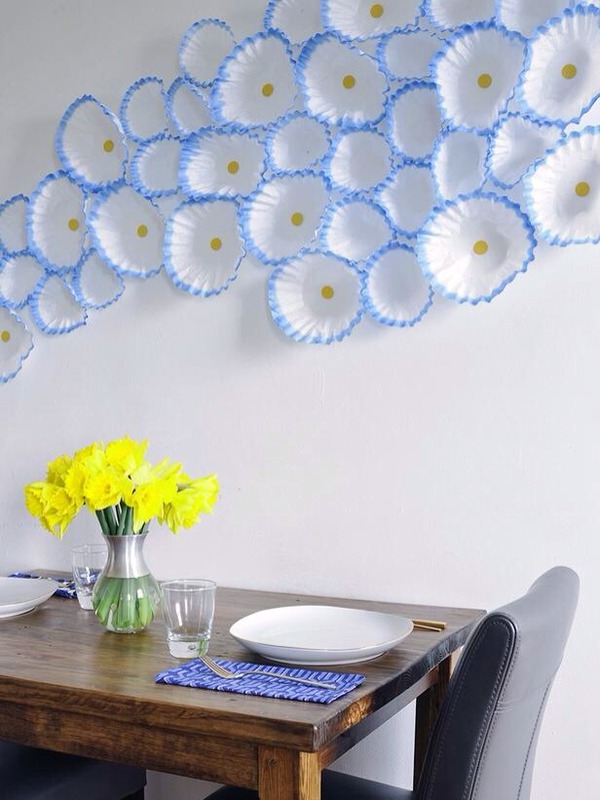 Let all the dipped coffee filters dry overnight. Cover a large countertop or table with plastic sheeting or a drip-proof drop cloth. 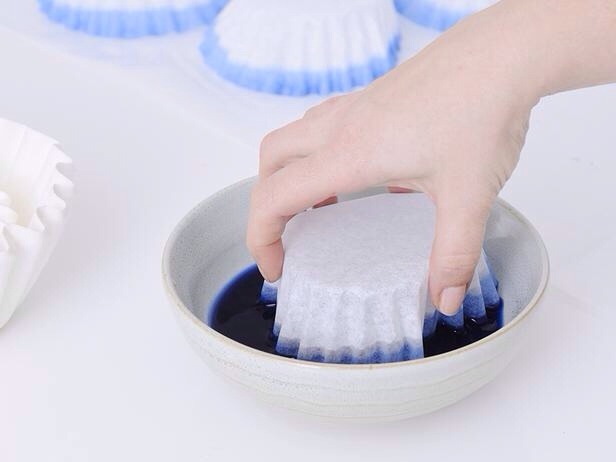 Dip a small coffee filter 1” into the dye. Set dip-side down on a flat surface. 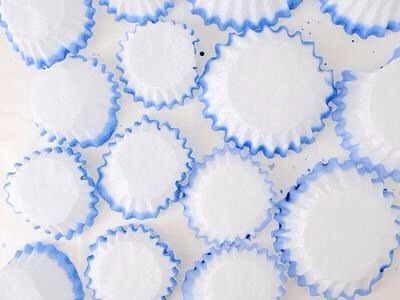 Repeat this process with 30 small coffee filters. 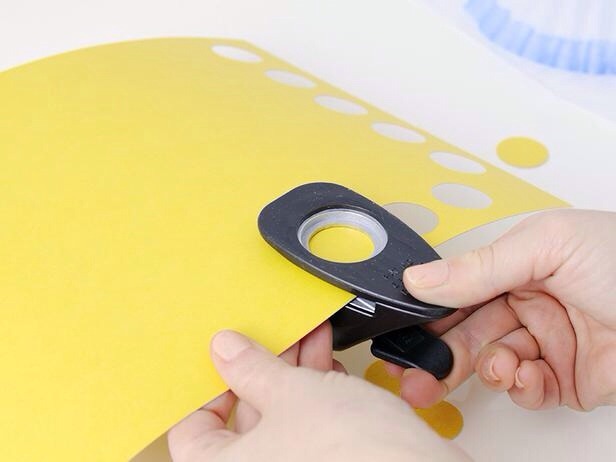 Using a 1" circle punch, cut 15 circles from yellow cardstock. Stick a glue dot or a piece of double stick tape to the back of a filter. Place on a blank wall. 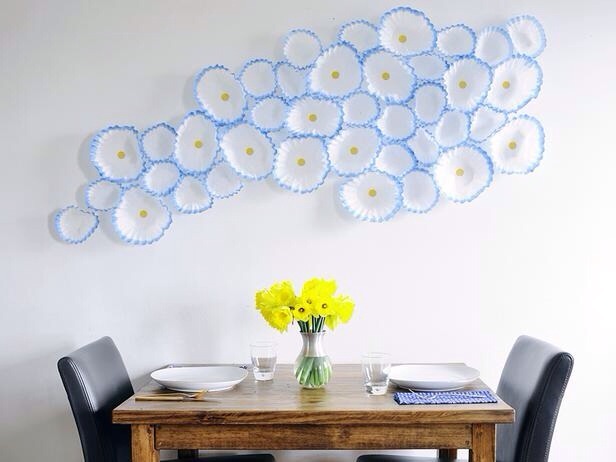 Tape small and large filters onto the wall in a random pattern creating a wave-like formation. 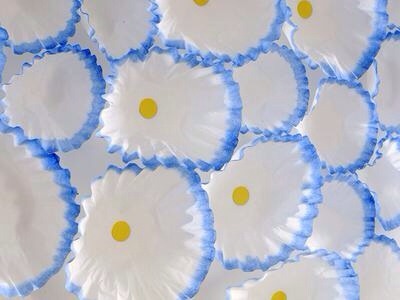 Tape the yellow dots in the middle of a few large filters. This will make them look like flowers. Tip: After every 3 or 4 filters, step back and look at the shape you are creating. Adjust as necessary to fit your space. Now, step back and enjoy your new art piece!